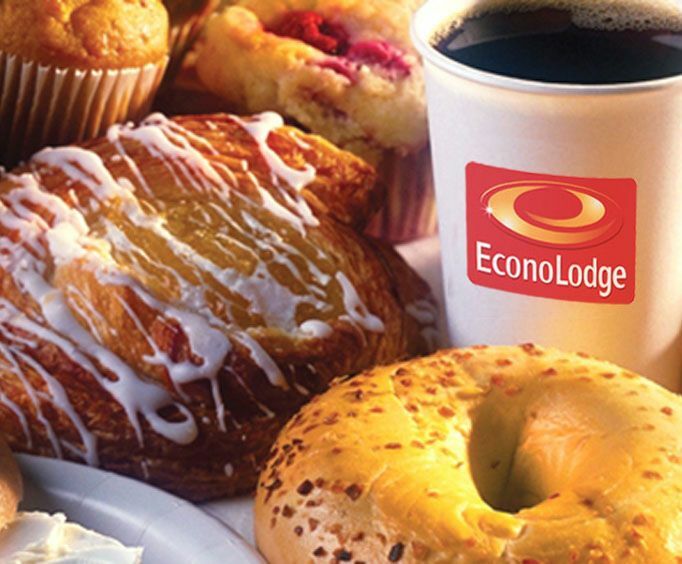 The Econo Lodge in Mackinaw City, MI, is accessible from Interstate 75. 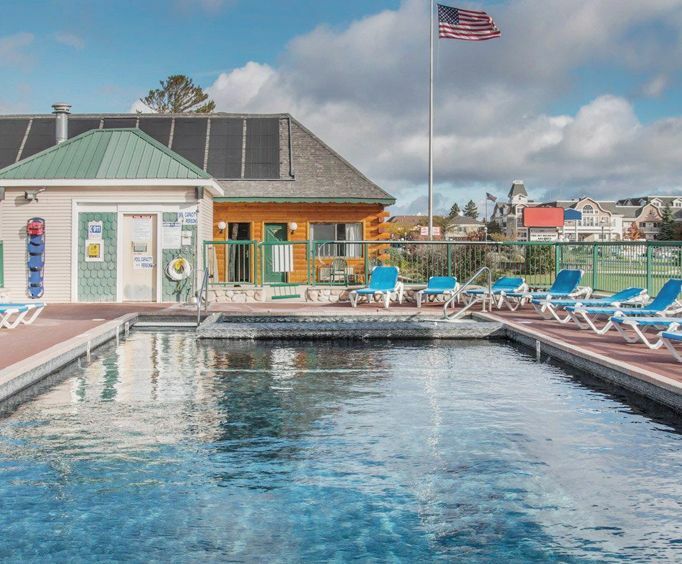 The pet friendly hotel has a variety of amenities that include a full hot breakfast, indoor/outdoor pool, water slide, whirlpool, free coffee and tea in the lobby, complimentary Internet access, fitness center, a game room, picnic area, and sun deck. The hotel is two miles from the Colonial Michilimackinac Park. Good mornings start with a hot breakfast. Unwind with some quiet time sitting on the sundeck. Enjoy the pool and water slide for some fun exercise. Use the fitness center for a serious workout. Take lunch or dinner to the picnic area and spend time outdoors. Get a cup of hot coffee in the afternoon for an energy boost. Use the Internet access to read emails or to find a hot spot for dinner. 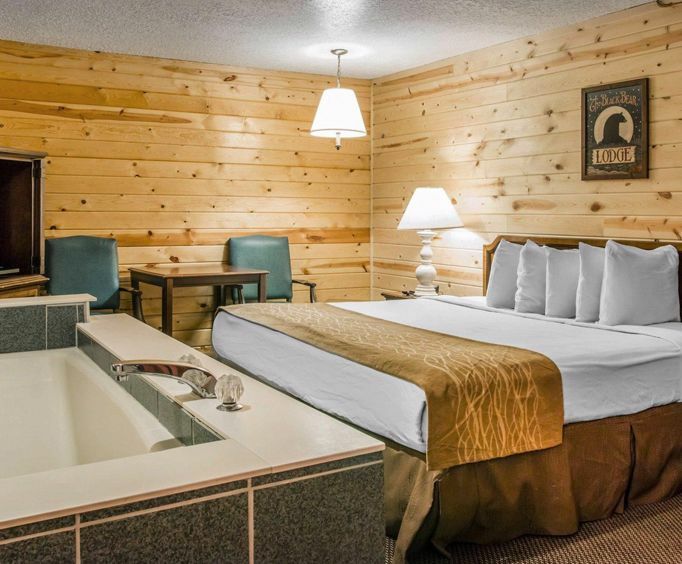 The guest room amenities include a television with cable programming, refrigerators, Internet access, free local calls, and private balconies. Restaurants within a half mile of the hotel include The Lighthouse Restaurant, Embers of Mackinaw City, The Embers, Anna’s Country Buffet, Mackinaw Pastie & Cookie Co, Nonna Lisa’s Italian Ristorante, Devon’s Return To The Past, and the Pizza Palace. Attractions and activities close to the hotel include the Star Line Mackinac Island Ferry (0.0 miles), Shepler’s Mackinac Island Ferry (0.5 miles), Animal Tracks (0.4 miles), Old Macinac Point Lighthouse (1.0 miles), Spy Quest Laser Maze (0.4 miles), Mackinaw Crossings (0.5 miles), Mackinaw Manor Haunted House (0.6 miles), and the Island Book Store and Coffee Shop (0.6 miles).